Computer users are confronted with a reoccurring issue every day. This happens regardless if the user is an employee doing work for their company or a person doing online shopping trying to catch the holiday sales. The user is using their computer and the next thing they know it is infected with malware. Then someone gets tasked with resolving the malware issue and one of the first things they need to do is to find the malware. This is a common occurrence that plays out every day to anyone who either uses a computer or is responsible for protecting a network. How the malware gets found depends on the person. Some fire off antivirus scanners, others examine memory, some follow a documented process, and others are not sure where to start. I've talked about my detailed process numerous times and I even shared one of my triage techniques last year. Regardless of the process used, there is one examination step that stands above the rest in locating malware on a system. This step is examining the program execution artifacts. Malware wants to remain hidden on a system so it can accomplish what it was designed to do. However, in order for malware to hide on a system a program has to run. This program executes to either hide itself or another piece of malware; in the process it will leave artifacts on the system. These artifacts - program execution artifacts - can be used to find where the malware is hidden. Below are the malware indicators to look for as the program execution artifacts are reviewed (my post Triaging Malware Incidents shows how to use these indicators for triaging). Program execution artifacts have been well documented over the years. For example, Harlan put together a post explaining how to determine what programs executed on a system. The key to finding malware is to look for the above indicators in the program execution artifacts and to review all of the artifacts since each one provides different information. To illustrate why the reviewing program execution artifacts examination step stands above the rest I'll walk through the step against a system I infected with malware. The purpose of this post is to show how just the program execution artifacts can reveal malware on a system as opposed to the tools one should use. However, for completeness I'm sharing the tools I use to parse these artifacts. I use the autorip script along with RegRipper to parse the majority of the artifacts and Nirsoft Winprefetchview to parse the prefetch files. The one program that stands out is the n6up2014.com program since it's located in the temporary Internet files folder. The next artifact to review to identify malware quickly on a system are the Windows prefetch files. Prefetch files show a wealth of information: program's file path, last run time, run count, and files accessed during start-up. Furthermore, the prefetch file's creation date can indicate when the program first ran. Sorting the parsed prefetch files on my test system by the program's file path makes it easier to spot malware. The image below illustrates this. Similar to the RecentFileCache.bcf, the first malware indication is a randomly named program (n6up2014.com) executing from a temporary folder in a user profile. The n6up2014.com prefetch file also provides the time of interest to help locate other malware which is 01/10/14 00:38:25 UTC. Prefetch files contain references to the files accessed during start-up and these references can point to other malware. The image below highlights the winupdates.exe program referenced in the n6up2014.com prefetch file. The winupdates.exe program is suspicious since it's a program that executed from the users profile. Also, the winupdates.exe zone.identifier alternate data stream indicates the program was downloaded from a different security zone (the Internet). Furthermore, the program executed around the same time as the n6up2014.com program. Sorting prefetch files by last modification is a fast and simple method to find other malware on the system. The image below shows the prefetch files sorted by last modification time. The image above didn't highlight any other potential malware but it does reveal the netsh.exe program executed around the same time as the malware. netsh.exe is a program to "administrator can use to configure and monitor Windows-based computers at a command prompt." The next artifact to review to identify malware on a system is the AppCompatCache registry key located in the System hive. Mandiant highlighted the significance of this artifact in their article "Leveraging the Application Compatibility Cache in Forensic Investigations." This article not only shows executables that executed on the system but it also shows executables which were present on the system. The AppCompatCache key from my test system also showed the same suspicious programs with malware indicators. Continuing on with the examination the next artifact to review is the userassist registry key located in the user account's NTUSER.DAT hive. 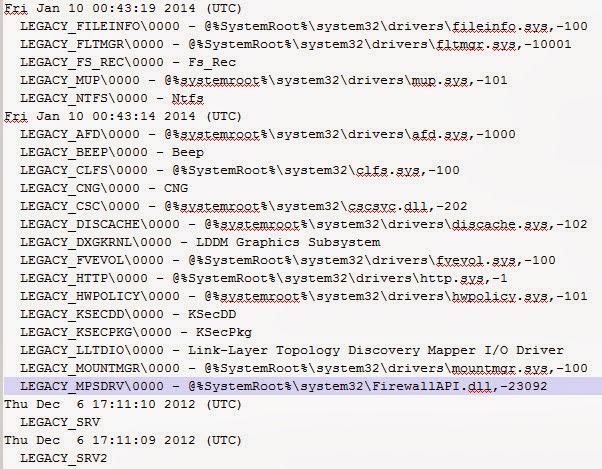 This registry key sheds light on "what programs the user has launched via the Explorer shell." The image below shows the portion of the userassist registry key for the user account where the suspicious programs were located and the timeframe of when they executed. As can be seen, the image doesn't reveal other malware but it does show the user executed their web browser prior to the infection. This information about the potential source of the malware isn't a surprise since the n6up2014.com file was located in the temporary Internet files folder and the winupdates.exe had a zone.identifier alternate data stream. Continuing on with the examination is reviewing the muicache registry key located in the user account's NTUSER.DAT (for Windows XP) or UsrClass.dat (for Windows 7) hive. The muicache shows programs that ran under the context of the user account and is another area to look for malware indicators. The muicache from my test system didn't reveal any useful information as shown below. The search for malware indicators should continue by reviewing the AppCompatFlags registry key. This artifact contains information about program execution and is more relevant for Windows 8 systems compared to Windows 7. This registry key hasn't been created on my Windows 7 test system as shown below. It may be tempting to stop the examination and follow up on the programs already identified but doing so may result in overlooking other malware. 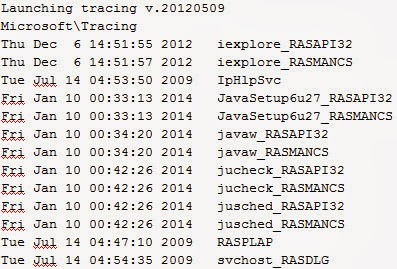 The next artifact to review is the tracing registry key located in the System hive. This key may contain program execution for programs with networking capabilities. The tracing registry key from my test system didn't reveal any useful information as shown below. The last program execution artifact to review is the legacy registry keys located in the System hive. These keys can be helpful to locate malware which installs itself as a Windows service. The legacy registry keys from my test system didn't reveal any useful information as shown below (notice the lack of entries for my timeframe of interest). In addition to locating malware it was also determined the netsh.exe program executed around the same time as the infection. The activity identified in the program execution artifacts matches the activity observed when analyzing the n6up2014.com program. n6up2014.com creates on the system and executes the winupdates.exe program while netsh.exe is used to modify the Windows firewall. Knowing the information discovered by reviewing program execution artifacts will empower anyone who is tasked with resolving a malware issue. This is the same technique I have been using for years to find malware on systems extremely fast. Normally I can find malware in minutes; in less than 10 minutes. This is why I stand by my comment examining program execution artifacts stands above the rest of the examination steps in locating malware on a system. This is why my response to anyone asking for help in locating malware is to start by examining the program execution artifacts. Great write up, thanks for your efforts. Great stuff. I recently completed some analysis that illustrated many of these artifacts. The timeline showed that the Recentfilecache.bcf file had been updated, and the last entry was for the malware. Prefetch was also very valuable. One of the things I really like about most of these artifacts is that they are extremely valuable in the face of anti-forensics techniques; file times being changed, or the malware itself being deleted...a timeline will still show these entries. Thanks for sharing about your recent analysis. These artifacts are very helpful in finding tools on a box and when incorporated into a timeline they can be very powerful. I strongly agree with the emphasis being put on program execution. What are your thoughts on this being proactively monitored? In a corporate scenario, with an established logging infrastructure, why not enable process auditing to track these executions? 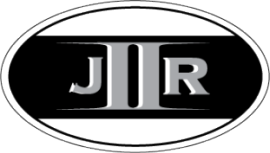 This would not only provide the ability to do some IR without touching the host, but also track and correlate data from multiple sources such as proxy logs. I can't go into detail since I try to keep seperate the work I do for my employer and this blog. However, I think it is an excellent idea to use this as a proactive measure. However, it might be easier to focus on programs executing from temp folders (user temp and user temp Internet files). These executables will be the initial malware on the system (i.e. downloaders and droppers). The temp folders work since this is where they will execute from whether if its a drive-by or email attachment. Just keep in mind you will need to reduce the noise since legitimate programs execute from these areas such as software updates.